Here in San Francisco we are spoiled. There are many reasons we are spoiled – the warm Winters and mild Summers, the amazing food and drink, the northern California landscape – but for dance and electronic music fans we are spoiled because of all the opportunities to catch live music. San Francisco is probably the best kept secret as far as dance music goes. Sure, on the West Coast LA tends to dominate music discussions, and Vegas, Miami, and New York City will always be juggernauts in America, but on any given weekend (and often during the week) there are almost too many shows to choose from – both official headlining shows and underground or after hours parties. Which, of course, doesn’t include everyone who has a friend that DJs. And that’s in San Francisco alone, not even considering Oakland/Berkeley, San Jose/Silicon Valley, or Sacramento. This past Friday night my choices were Totally Enormous Extinct Dinosaurs with Justin Jay, the legendary Gene Farris, an after hours party with Quivver, and the Dirtybird Quarterly party featuring Justin Martin (on his Hello Clouds tour), Ardalan b2b Kill Frenzy, Christian Martin, Worthy, and J.Phlip. Without hesitation I headed to Mezzanine for another righteous Dirtybird party. What I’ve come to expect beyond fantastic booty-shaking beats at Dirtybird Quarterly parties is a reunion of sorts. Having now just been to my third official Dirtybird Quarterly, I know the drill. Every three months the San Francisco-based Dirtybird family hosts a party at Mezzanine, a venue that brings some of dance music’s best acts to San Francisco (Boys Noize, The Magician, Gramatik, GRiZ to name a few). Tickets are not sold in advance of the show and the only way to get in is to get in line. Folks have started lining up at 8pm for a show that doesn’t start until 9pm and goes into the wee hours of the night. What I mean by a reunion is that you can expect Dirtybird’s loyal fans to come out to these parties almost every time – and it’s great knowing that I can expect to see so many smiling faces that I’ve become familiar with in my short time living in the Bay Area. It also helps that passengers of Holy Ship (Shipfam), of which I am lucky enough to be a part of, buy out a massive table on the second floor of Mezzanine, at which drinks are shared and many hugs are given out. Every party is slightly different in its own way. 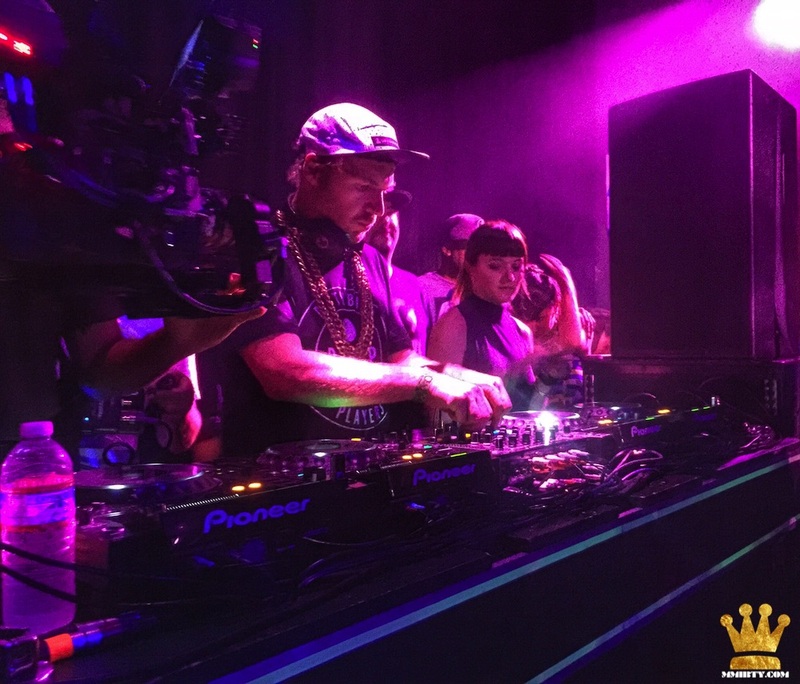 The previous Dirtybird 10 party was absolutely off the hook – bringing big beats in a big way. The past weekend was a little different, as Dirtybird had three parties in three different time zones, less than 24 hours apart (Chicago got them Saturday while Brooklyn enjoyed a BBQ on Sunday) which means its artists had to scatter at different times for their impending gigs. This past Friday I was most looking forward to Kill Frenzy b2b Ardalan, as back to back sets are always fun, but I found out too little too late they had played the first slot before I had arrived. Fortunately Mr. Justin Martin was in the mix when I walked inside. He played a great mix of heavy-hitting booty bass and even some Disco-House which I hadn’t heard him play the many time I’ve seen him. At one point the sound cut out which gave way to booing fans, all a joke of course as Justin had a smile on his face. Luckily the music was back on in no time and the dance floor was moving once again, as Justin continued to tear up his 2-hour set. Christian Martin came on after to get his funk on, playing tracks like “Killing With Kindness” by Catz ‘N Dogz and the VIP remix of “Function” by Justin Martin & Ardalan. As the night began to get a little burry, thanks to my Shipfam partygoers, the music stayed turned up. Worthy took over the decks with his unique blend of House, Hip-Hop and other influences (interview and EP review to come) and as the clock ticked past 3am hometown favorite J.Phlip took over and kept the beats just as grimy. Folks if you ever have the chance to attend a Dirtybird Quarterly you need to do it. It’s a fun, happy, sweaty, grimy, and amped up way to spend your Friday night. But you don’t have to wait three months for another Dirtybird party, as the Dirtybird BBQ returns home to Treasure Island on Sunday September 13th. You can BUY TICKETS HERE.